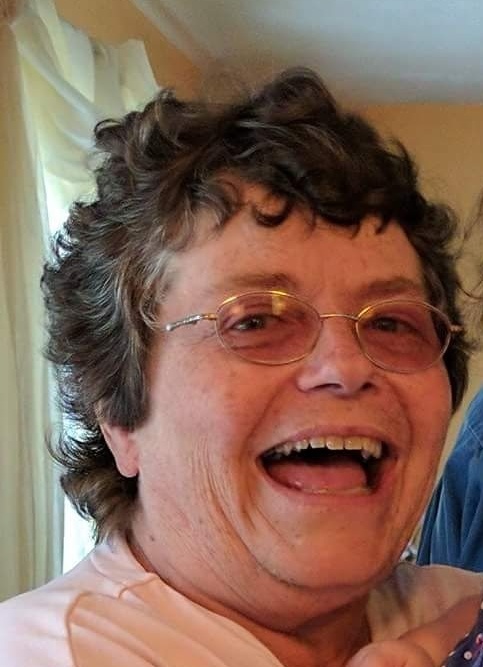 Terri L. Kemery, 54, of St. Petersburg, passed away Saturday morning, January 26, 2019 at her home surrounded by her family and pets. Born in Franklin on November 21, 1964, Terri was the daughter of Patricia Texter Johnston of St. Petersburg and the late Richard W. Johnston. Terri was a 1982 graduate of Allegheny-Clarion Valley High School and was a graduate of DuBois Business College. She attended the Turkey City Church of God. She enjoyed puzzles, reading, and most especially spending time with her granddaughter. She was employed by the Compass Group at Clarion University. Terri is survived by her husband, Roger A. Kemery, whom she married in St. Petersburg on May 21, 1988. In addition to her mother, Patricia “Patty” Johnston of St. Petersburg, she is survived by a daughter, Misti D. Flick and her husband, Cody, of Harrisville and a son, Shelby A. Kemery of Slippery Rock, a granddaughter, Scarlette I. Flick, a brother, Richard “Rick” Johnston of Emlenton, her best friend and “sister”, Amy Monroe of Jarvisburg, NC, as well as a number of aunts, uncles, nieces, nephews, cousins, brothers-in-law and sisters-in-law. In addition to her father, Terri was preceded in death by her father-in-law and mother-in-law, Roy and June Kemery and a brother-in-law, Roy “Bud” Kemery Jr.
Friends will be received at the Hile Funeral Home Inc., 802 Grove St., St. Petersburg, from 1 – 3 and 6 – 8 p.m. Monday. A funeral service will be held at 2:00 p.m. Tuesday at the funeral home with the Rev. Korona Say, pastor of the Turkey City Church of God, officiating. Interment will be in St. Petersburg Cemetery. Memorial contributions may be made to the St. Petersburg Volunteer Fire Company, PO Box 81, St. Petersburg, PA 16054. For additional information or to send a condolence, please visit www.hilefh.com.